Those standing in the circle of wealth fence in the world with safety and warmth. We use our wealth and opportunity to make plans, create dreams, and carry them out. Perhaps you’ve read stories like Elie Weisel’s Night, depicting the experiences of those who suffered in concentration camps in WWII. If you’re like most people, you don’t want to suffer. Myths, stories, sacred texts, and the seasons themselves tell us that loss comes before renewal. Nevertheless, at some point—through illness, loss, through confrontation with old age or death, we’ll all be brought low. Before moving to India, though I recognized I had a lot to learn, I thought of myself as a basically good person. I aimed to live conscientiously—to be kind and fair. I tried to avoid wasting resources, and aimed to follow the Golden Rule. The quantity of India’s need is overwhelming, however. Living there, I realized that all my “goodness” was not enough to meet India’s Everest of needs. Responding to the need I saw everywhere around me was beyond bearing. I continuously looked at that mountain’s heavy weight, and it made me think about God’s depth, God’s mercy. I did my work—teaching young students how to read and write, how to examine the world and wonder and describe how it might be different, hoping by some miraculous trickle down method, the students would someday, as adults, find professions that would enable them to address and meet the poor’s needs who lived in places like Delhi. While working in India, I did a few things beyond the classroom to address the needs of others around me. I led some teacher training workshops at the Tibetan Children’s Village School, for example. India’s poor continued to struggle, however, my efforts a tiny seed in the Sahara of need. Physical poverty isn’t the only kind of poverty, however. Edward Hirsch’s poem, “Lay Back the Darkness,” describes suffering just as difficult to bear—that of a son observing his elderly father who has lost his mental faculties. The father shuffles between rooms, lost. Once, the father “could charm everything.” Now he stands amongst the shadows “on an obscure mission through the hallway,” unable to “remember what he meant to say.” The son, in anguish, cries out, “Help me, spirits, to penetrate his dream/ and ease his restless passage.” This is not loss brought on by economic disparity or government corruption. Physical decline is a common, natural experience as life changes form when a person ages and moves toward death. The son in the poem loves his father, and remembers who his father once was, though that presence no longer inhabits his father’s body. Existence is ever evolving energy, shifting from one form to another. If, however, we’re more than our positions in society, our accomplishments and personality, our bodies, what are we? What is the soul? What is it we do when we love and give ourselves to a relationship? Dylan Thomas wrote, “The force that through the green fuse drives the flower/Drives my green age.” I was raised to believe in God, to be able to give certain answers about who or what God is—the maker of heaven and earth, for example, and the God inside the Biblical stories. Maybe the force Thomas speaks of is God. Maybe to connect to God is to learn, as did the prophets, to attune ourselves to the energy that moves through not only ourselves, but through all that is. Maybe, however, God is wider than that description. Riding down a freeway, gazing at the ever-flowing streams of cars, or sitting in a room conversing with friends I’ve not seen in years, I sense the marvel of human existence, and wonder at its meaning. Prayer doesn’t need words. Prayer is standing humbly in silence before the vastness of all that is, and listening. This the father does. Genesis describes God creating all that is out of the void’s chaos. Hirsch depicts the father entering, again, the place of chaos, moving back to the void from which all things arose, a child, once more at the beginning of a journey. Life emerges from emptiness. Let everything happen to you. In a short time from now, I’ll be moving from India. After nearly a decade in this country, I won’t live here any more. Though I don’t exactly know yet where I’m going once I leave, I will miss many things about living here. Through sound, smoke and heat, India literally seeps in through the windows and doors, announcing its presence, influencing the whole of what happens. We don’t have adequate answers for life’s most perplexing questions. We are incomplete. India constantly asks difficult questions I will never have answers for–which is perhaps one of the reasons I’ve stayed here so long. Everywhere in India, it’s easy to see people suffer. As I travel through Delhi, I try to open myself to see and notice the suffering around me so I can learn from it. Looking into the faces of people suffering–noticing their difficulty–is not the same as doing something about meeting people’s needs. If I don’t have the ability to change people’s lives around me, however, then I can at least see them as fellow humans in need of compassion, just as I, too, feel the need for compassion. Like the poor around me, I will never be all I want to be. As a result of living in India, I recognize in people’s faces and bodies a mirror of my own incompleteness and need. The more I can befriend the reality of my own incompleteness and accept limitations with compassion, the more I will be able to act compassionately toward others. Maybe I can also become more whole. India’s poverty is too enormous for any one person to resolve. In humility we have to accept we can’t necessarily be or give to others what we plainly see that they physically need. To solve huge problems requires large numbers of people working together toward change and solutions over extended periods of time. Many things aren’t in our control, or ability, though we do and give what we can to make a difference. Because it is a kind of death, moving stimulates reflection. Often these days, I find myself wondering what existence is. It’s all so mysterious and amazing. Embodied minds and feelings walk around on planet Earth with other physical bodies in a universe containing other galaxies that hold solar systems in a space vast beyond comprehension. So much happens in the universe beyond fathoming. Over the years of living here in India, I’ve learned to understand more of the cultural patterns–which are a kind of universe of their own. When I leave, once again I’ll be moving into a different world, learning new ways of being and understanding. I’ll be transformed into another reality very unlike the current one. Even if living in my native country, my world will be widened. Parts of me will diminish, others expand, and I’ll be reborn into a different existence. I will remake myself. The baby kite in the nest across the yard outside my kitchen window, stands up, occasionally, and perches on the nest edge to look around. Soon, like notes of music, the fledgling will fly away, though, and like the kite I, too, will leave this nest. I don’t think the change will necessarily be easy, though parts of it will be. Transformation. Transcendence. Births are noted fore being painful, but out of chaos, the world was (and is continuously) formed. This period of transition is a liminal space of uncertainty through which to view two worlds, and to notice the myriad possibilities of creativity change brings. As a friend writes–through the dissolving curtain of now the new world awaits. In some ways, every day can be seen as a liminal space, not just the great moments of passage and change. What could I become if I were able to live more like that–like trees who let go their leaves time after time, reborn repeatedly, because they are always “drawing up for the great roots.” Let me live like that. To live in India, and to ponder what it is one is experiencing when wandering out to explore what waits in the streets, is to be humbled. This is my ninth year living here in Delhi. There is a myriad of things still to see in India and a myriad more to understand–or realize I will never understand. India is immensely diverse with a long, long history. Though many things after nearly a decade of living here seem familiar to me now that are utterly different than the world I was born into–things such as buying groceries at street side stalls, monsoon heat and rain, dogs and cows wandering the streets, and erratic electricity–the more I experience and learn about India, the deeper the mystery of this culture goes until it seems I have entered the waters of the ocean and the universe beyond. This past weekend I traveled to the state of Odisha (Orissa), and the cities of Bhubaneswar and Puri, one of India’s holiest cities. Traveling through these cities colorful streets full of ancient stone temples, is to enter a place wonder. A few short kilometers from Bhubaneswar, we visited the Udayagiri and Khandagiri Jain caves, cut into two facing hills over 2,000 years ago. Ascetics once lived here, but now along with visitors and devotees, langur families roam the area, eating from shrubs, as well from the hands of the many Indian visitors to the temple atop the hill. A bit over an hour’s drive down the coast from Bhubaneswar and north of the coastal city of Puri is the Konark Sun Temple. Made of stone and facing the east-west direction, as if carrying the sun, the temple is a World Heritage site built in the 13th century. 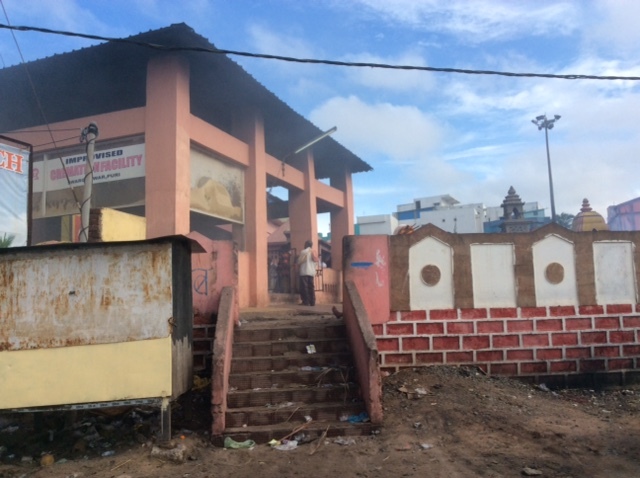 The temple’s shape is modeled after the giant cart that Hindus pull through city streets in various locations in India during religious festivals. Though no longer safe to enter the temple, it’s exterior carving is both extensive and beautiful. There must have been an enormous bank of skilled sculptors available in order to make the temple with its beautiful carvings–something that would be rare to find in most any place in the world today in such abundance. Puri is highly desired as it allows one to enter moksha and to be released from the cycle of life. Interestingly, directly across the street from Puri’s crematorium is the beach on the Bay of Bengal, crowded with people barbecuing fish, eating, shopping, and riding camels with a decorative red and gold cloth to sit on.The waves stretch along the coast beside Puri, though no one is swimming, preferring the activity on the shore. This is not a country or culture that isolates death from the ongoing experience of life. Death while necessary, it’s very presence is woven into the fabric of the town’s hotels and seaside attractions, as a natural partner to other activities such as a barbecue or a seaside stroll. South of Puri, along the coast, lies Chilka Lake, one of Asia’s major areas for bird migration and nesting. The road to Chilka Lake from Puri, wanders through a wetland area of trees, verdant green rice fields, and buffalo watering holes. Black dolphin live in the lake, and you can see them on a boat ride that takes you out to where the lake opens into the sea. On our boat ride, we got caught in a monsoon downpour. As the sky turned dark and the thunder rolled, we crouched behind umbrellas, hoping to stave off some of the rain and sea spray. At the lake’s opening to the Bay of Bengal, we pulled up to the shore and climbed off the boat to huddle under a palm leaf hut with plastic tarp, watching the wind blow and the rainwater drain off the roof as the boat driver wrung the water from his shirt. Locals working at the tea hut knocked open oysters and pulled out perfect pearls time after time as well as stones hoping to sell us a few. I never saw clams produce shaped and polished stones before, but people on other boats believed it was possible, and willing bought the jewels. Later, we headed back to Puri, to the Jagannath temple–the Lord of the Universe’s home on earth: Vishnu’s abode. The temple, according to the Jagannath temple information site, has 6,000 priests, as well as the largest kitchen in the world, where it has prepared meals for 1,000,000 people on festival days and frequently up to 25,000 on other days. If you are Hindu, you can enter the temple, but if you aren’t, even from outside the temple there is a world of wonders to see because half of India seems to be gathered there in a celebratory mood–balloon, flute and toy sellers, fruit sellers with their carts, a woman selling grass for the wandering cattle, devotees washing themselves, beggars with open palms–all part of the throng in the plaza and funneling toward the temple gate. The temple complex is large, covering an area of 10.7 acres, and as I circumnavigated its walls, I got a glimpse of an idea of the world inside. A group of men wearing white and clanging a bell trudged by carrying a wooden plank decorated with flowers, women wearing gold colored saris walked by in a group, and everywhere food sellers pandered their wares and cows wandered the streets. 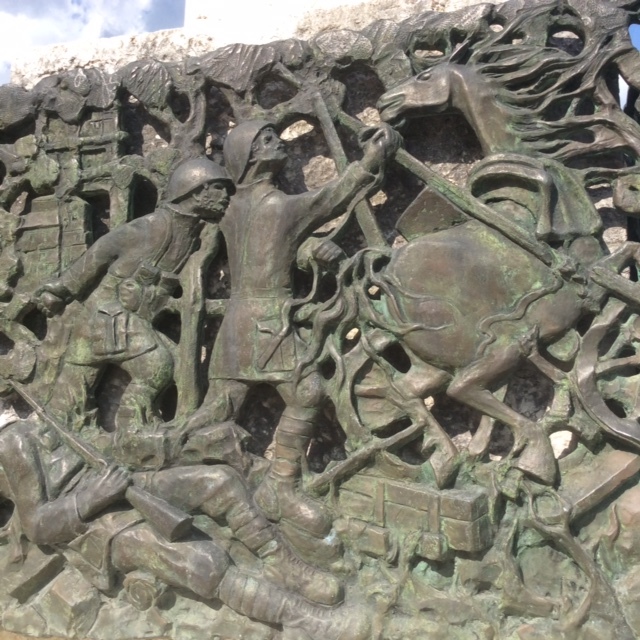 On the opposite side of the street from the temple, were the broken-off walls of apartment buildings and shops where some men worked to rebuild the half dilapidated walls, while others sledge hammer in hand heaved into walls, blow by blow hoping to bring them down. One thing was certain: I was in a different world. No sterile streets with trimmed hedges and clipped lawns here, no malls or neat and tidy traffic flowing to regulated lights. Instead, a cacophony of human activity filled the world on all sides. Here, the world was turned inside out. You can literally see inside houses, and everything appeared to be in a state of simultaneous construction and deconstruction–which is actually a pretty good physical embodiment of what is actually happening at any particular point in time or history. Things have a way of breaking open and breaking out of the boxes they are put in. Life, like many things found in India, is bigger than the boundaries we build to contain it. It spills out and pours over–is larger than what we can define or name. Order is there beneath the change we experience, but the birth and death of everything is happening all at once right before your eyes. Like some kind a satellite, asteroid or meteorite from a world other than the one people in Puri were familiar with, I circled the Jagannath temple, my eyes absorbing what my mind had the tiniest fragment of comprehension of. Here is a world to itself, one that doesn’t care that your your hair is falling out, that you once held an athletic record, that you aren’t able to walk as you used to, that you can sing, dance or draw, that you might be unable to do what someone else does or thinks is important. These are things of the world you might have been born into or come from but none of this matters when you cross into another world, and clearly the space around the Jagannath temple is another world. If it is possible to be reborn into another life without dying, than certainly, that is what occurred. Doorways mark the liminal spaces between two worlds, and to stand outside the Jagannath temple amongst the honk of mopeds, the cows and dogs lazing in the streets, the clanging bells, marigold offerings, and the sun casting a golden light across the street is to definitely see into a different reality. This was no place anything I knew in my childhood would prepare me to know or understand. Except that it was wondrous. There are things in this world far beyond our comprehension. This I knew as a child. I climbed the hill opposite from where I lived with my mother and two of my sisters when I was four, and when I looked back at where I came from, at the small house in the valley below, I knew my home in an entirely new way. Circling the Jagannath temple walls is one way that allows you to see where you call home in a new way if you call home a place other than India or Puri. Walking around the temple wall, you can glimpse into the universe of mysteries and to realize that of all the world holds, we know very little. The world, the universe is much bigger than our minds can hold. Birth is mystery, as is relationship–the fathomless bond of love. The intricate connections and interweaving of natural systems of animal life, of whales’ migration patterns, for example, serving to mix the ocean’s water columns and spreading nutrients, that according to National Geographic, enables more fish to eat and grow–just this one example of the vast natural systems that we interact with daily that have evolved over eons of which humans are just one part–all these things are working together, holding us up and together. These are far more powerful than the power of any ruler, government plan or force on earth. As in the poem I opened this post with, it’s good to be reminded of these things. We often get wrapped up in our small worlds and plans, in our way of seeing things, making it easy to forget our view is just one perspective in the wider, wilder world and universe we are a part of. el huerto aquel donde el amor vivia. en un dorado despertar de vida. abria Dios sus manos amarillas. I’ve loved this poem by Jimenez since the moment I first read it several years back. I love the rhythm and the way Jimenez uses repetition. I love how the sound of the poem read in Spanish so perfectly complements the ideas. It is fully beautiful; beautiful like spring. the orchard where once love bloomed. in a golden awakening of life. God opens his hands of yellow. Yellow wasn’t my favorite color growing up, though it was my younger sister’s. She looked terrific in yellow, wore it often, and her room was yellow as well. Yellow was a nice enough color, but somehow too bright, too loud like brass horns. Over the years, however, I’ve come to appreciate the color yellow. When you see wide fields of sunflowers blanketing rolling hills in Italy, holding their golden faces to the summer sun, their beauty and the way they lift the heart can’t be denied. 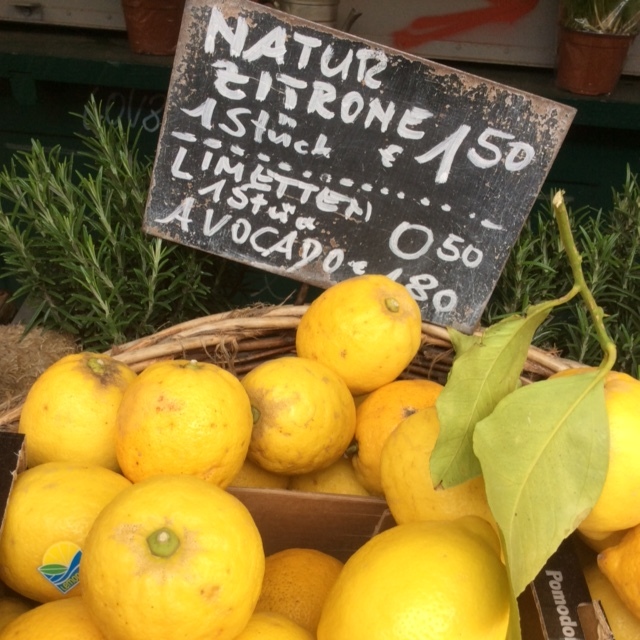 Similarly, when walking down Sorrento’s streets with gold and ochre painted buildings sitting above the sea, and lemon groves growing on the hills, the lovely tablecloths and ceramics with lemon designs displayed in shops along with Sorrento’s appreciation of limoncello, it’s easy to grow an affection for the color yellow. Because I’m currently writing poems about food, I’m also exploring some of their history and stories and the lemon has an interesting history. I grew up associating the fruit with California, as it is a citrus, and California is noted for its citrus groves that date back to the 1840’s in Los Angeles area, though citrus fruits were first brought to California by Spanish missionaries in the 1700s. The word is of Persian origin, limun, and entered English through Old French, limon, related to the Italian limone. 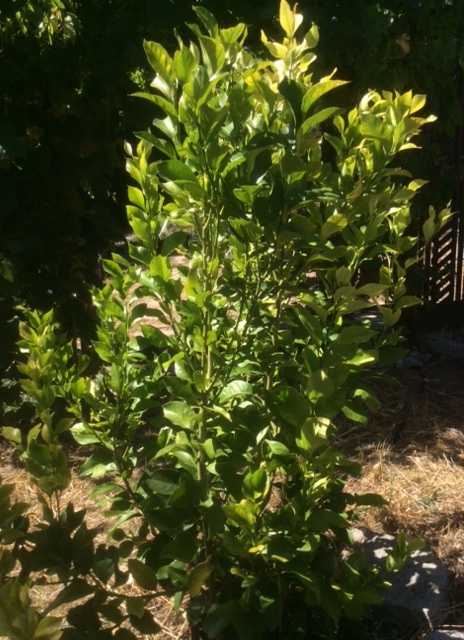 My parents had a lemon tree growing at our house when I was a child, along with a grove of orange trees. I also associate lemons with the Mediterranean because of the fairly warm climate there. Its origins are further east, however. Though its exact origins are a bit unclear, they are thought to be India, the country where I currently spend most of my year, in the Assam region near the Chinese border. Over time, the fruit made its way into Persia and then on to the Mediterranean, carried by Arab traders into the Middle East, North Africa, and then southern Italy before entering the rest of Europe during the time of the Crusades . 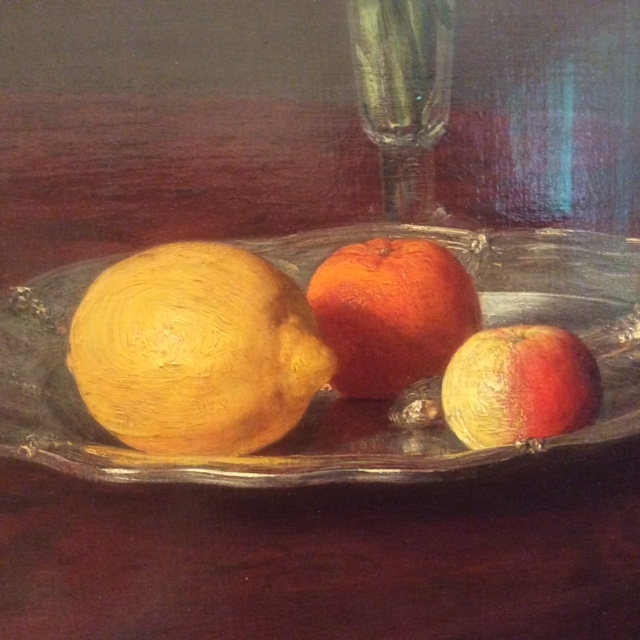 At first, the lemon was used as an ornamental plan as well as medicinally. Currently, according to the New World Encyclopedia, Italy and the US are the world’s leading lemon producers. My husband’s grandmother drank a glass of lemon juice with water in the morning to aid digestion. The fruit’s juice has antibacterial qualities, and is thought to be good for the skin. It also tastes incredibly delicious in homemade lemon pasta (see a recipe here) that I’ve made together with my husband. If you happen to be in Rome, aim to try eating the lemon pasta at Vladimiro Ristorante, Marcello, 39 06481 94 67 Via Aurora 37 (Via Veneto), 00187 Rome, Italy. The sauce of rich cream with lemon is truly memorable. In addition to all mentioned previously, Citrino is my surname, which I believe means yellow like the stone, citrine. Possibly the surname means citrus, though, too, as the origin of the English word citrus is Latin and refers to the citron tree, and the citron tree has a fascinating history. You might be most familiar with the citron fruit as part of fruitcake you’ve eaten. The LA Times writer, Jeff Spurrier, explains in his article, “Growing the etrog citron, A tree full of symbolism” that the “etrog citron (Citrus medica) is a fruit with thousands of years of human use.” Originally also from India’s Assam region, the citron is a separate species from the lemon according to Encyclopedia Britannica. Helena Atlee in her book, The Land Where Lemons Grow: the Story of Italy and its Citrus Fruit, explains how the citron fruit is used in the Jewish observance of Sukkot and is one the oldest of cultivated citrus trees. According to Spirrier’s article mentioned above in the LA Times, archeologist found the citron’s seeds in Mesopotamia dating back 8,000 years. The citron may even have been the fruit referred to in the story of the garden of Eden, not the apple! A thorny tree, the citron grown in Italy is from the region between Tortora and Diamante, an area that is even referred to as the “Citron Riviera.” You can read more about this plant and its history here, and even more here with a detailed horticultural origin analysis if you’re curious. Especially noted for its wonderful scent, Atlee, in her book, The Land Where Lemons Grow, describes her attempt to make a broth with the citron following Apicus’s ancient recipe. Not willing to sacrifice the entire fruit to the broth, she cut off the fruit’s tip and suddenly, she noticed the air was “drenched with perfume. By cutting the rind I had released essential oils from the pores just beneath its surface, and the smell of violets that comes from a citron’s outer skin had been replaced by a scent reminiscent of crushed geranium leaves in the sun, mixed as ever, with warm but indefinable spices.” Reading that description made me want to travel to find the fruit just so I could smell it! Though the tree is too bushy to provide shade, though its is wood brittle and not good for building or adequate for burning, though its fruit isn’t particularly pleasant to eat, and though it fails at possessing qualities for most any practical use, it does have something nearly miraculous going for it, Atlee explains. It produces its huge globes of fruit at the same time it bears “a full cargo of beautiful flowers.” Not only that, wood, flowers and fruit, in essence, the whole of the tree is perfumed, and the fruit seems to never decay–all qualities giving it interest and respect from ancient people.”(The Land Where Lemons Grow) According to the Online Etymology Dictionary, citron was the first citrus fruit cultivated in the West. Another type of citron with additional unique qualities is the Buddha’s Hand citron which has multiple finger-like sections, somewhat resembling a flower. The fruit appears in paintings on India’s Ajanta cave walls. It, too, isn’t a fruit with much to offer regarding taste, though some research supports its medicinal benefits demonstrate it contains anti-cancerous, and anti-inflammatory properties, as well as possibilities to slow the development of both Alzheimer’s and diabetes. (See more here.) 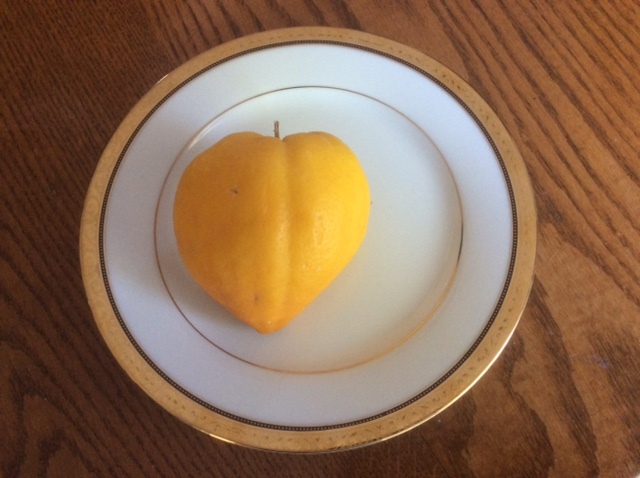 Though fussy about its conditions, the citron is a unique food with a fascinating history and I will have to search out finding one. Luckily, I’ve discovered someone in my county is growing them and they are for sale at Santa Cruz County farmers’ markets! I am grateful to those who first carried the seeds for these fruits to their homelands in the Middle East, and the gifts they have been to so many for so many centuries. The interconnections between India, Italy and California in the history of lemons and citrons, are surprising and wonderful to learn. The discovery makes me curious about what other ways our lives are connected beyond the boundaries of what we know or understand. In a few weeks I will be back home in California and able, once again, to walk out my door onto the earth and stand in the garden. I will pick berries and pull weeds, prune and plant. Growing a garden connects us directly to the earth. To garden is to learn something of what the earth needs and to care for it–to have a relationship with the earth and to love it. I miss that garden, that particular piece of earth. If earth is our mother, then I am its child, and sometimes I just want to go home–home to that particular landscape that looks and smells like home, where I have dug and weeded and planted, have walked many times–where I’ve given the trees names. When I go home, I will look out my window to see trees and mountains. I will be surrounded by nature. What a gift that is to the soul; what a pleasure to walk through greenery in forests and wild places. But all this is still a few weeks away. For now, I am still in India. Last week was labor day holiday, and I took a short trip with friends to Musoorie, a city in the Himalaya foothills, a hill station resting at 6,500 feet, and place with roots from the time of the British Raj that is today popular with honeymooners. A walk along Camelback Road, brought views of iris growing wild on the forest covered hills, steep valleys, and the snowcapped Himalaya in the distance. We arrived during a rain storm, and the following morning, the sky was as blue as I’ve seen skies get in India. Tree leaves literally glowed in the light. This is the India I love to be in, the mountains, where the urban coat can be cast off, and the world’s natural form emerges. I felt myself alive again, filled with a sense of wholeness, looking out at the world in wonder. Often after being out in nature, I feel more whole, as if I have returned to myself, as if in some odd way I’m being healed even though I may not have been particularly aware that I was “ill.” Since returning to Delhi, I’ve come across an Atlantic Monthly article explaining new research showing how, as the article’s title says, “Nature Resets Our Minds and Bodies.” People who can view nature from their windows after operations generally recover more quickly, for example. “The business of everyday life — dodging traffic, making decisions and judgment calls, interacting with strangers — is depleting, and what man-made environments take away from us, nature gives back,” reports Adam Alter. The theory for how nature does this is called Attention Restoration Therapy, Alter explains. Human made environments ramp up our attention. Nature, on the other hand, asks little of us, and therefore calms our attention. The Japanese, the article goes on to say, have long advocated what they term forest bathing– long walks amongst trees, breathing in the wooded air, and the research on the effects of this activity “compared with people who walked through urban areas, shinrin-yoku patients had lower blood pressure, lower pulse rates, and lower cortisol levels, a marker of reduced stress.” That’s pretty nice! You don’t have to go to Japan to experience forest bathing, however. People in California, are promoting this idea as well, and you can head out into any forest. The idea, according to Brian Wu of the LA Times, is to go slowly, not walking more than three miles in four hours, take rests as you like, drink water or green tea, read. Going to the mountains, or going to the garden. As it turns out, gardening, too, is good for the soul. Sue, Stuart-Smith, in her Telegraph article, “Horticultural therapy: ‘Gardening makes us feel renewed inside,” suggest that when we plant seeds we interact with the earth in a way that binds us to the mystery of how a seed produces life and our minds connect that with the mystery of our own lives. When gardening, one learns the importance of cutting away and pruning, of digging and weeding–all metaphors for what we must do in our own lives if we are to nurture what it is we have as seeds within us that want to grows. As Berry implies, obstacles and questions we don’t have answers for can help us find what makes us sing. When we open ourselves to the Mystery, or to mysteries bigger than our own life, we can experience how everything that is worth something in life isn’t necessarily connected to our effort or accomplishment. Our life stream wants to move from behind the dam that blocks it. It wants to flow, and confronting the question of why it isn’t can help us find they way to let our lives sing again. 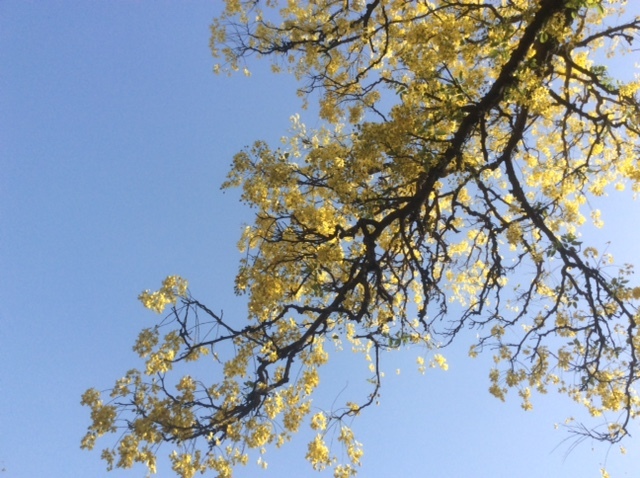 Whether it be forest bathing, gardening, or painting on pottery–as I have done this afternoon–whatever it is, let us find those things that return us to ourselves, that allow our hearts to sing so that when we come to the end of our day or days, we will find that we have lived, we have truly lived.